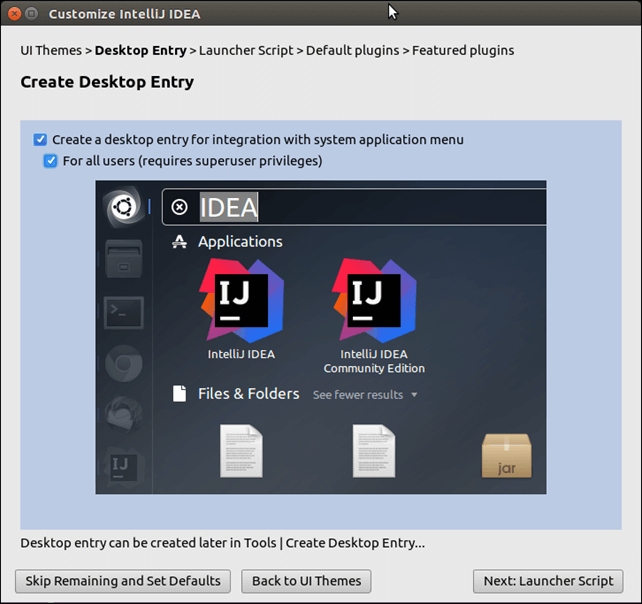 How to Install IntelliJ IDEA IDE on Ubuntu 16.04 LTS? 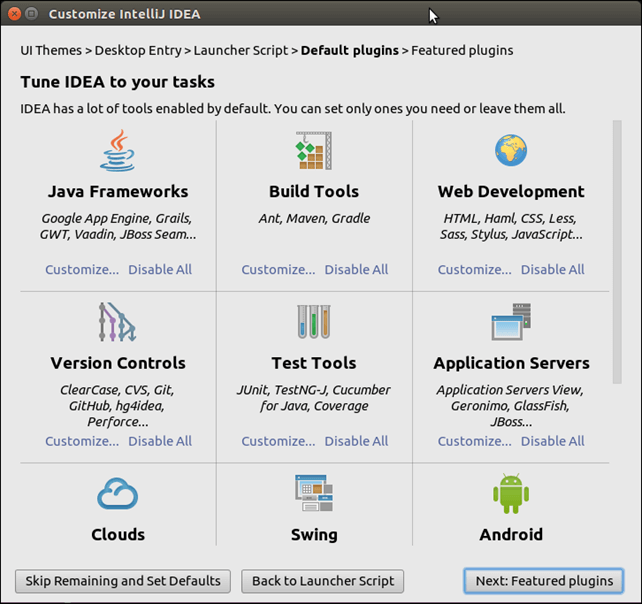 IntelliJ IDEA is an IDE (Integrated Development Environment) primarily designed for Java application development. 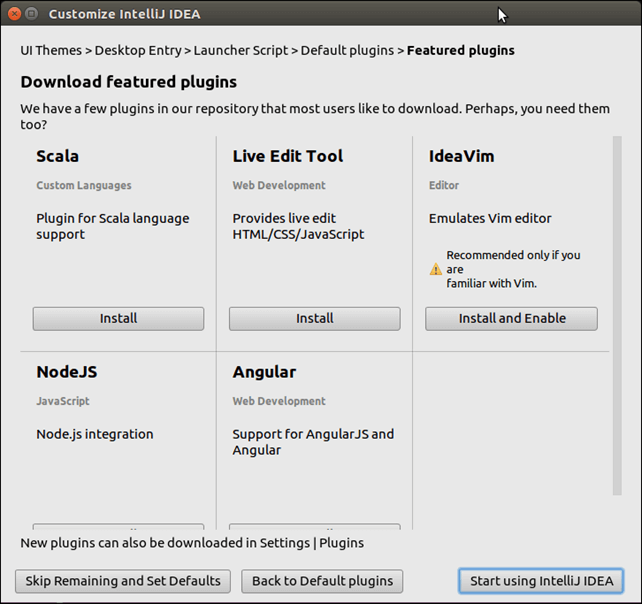 It is designed and developed by JetBrains and available as an Apache licensed. 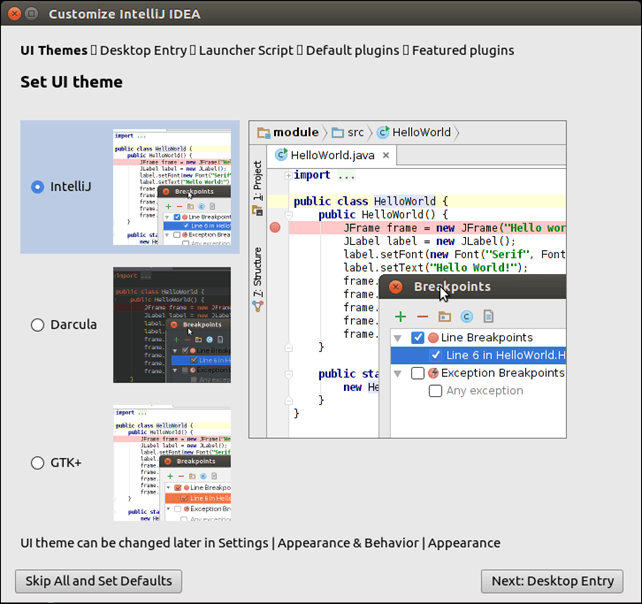 In this tutorial, we will install this IDE on Ubuntu operating system. It requires some hardware and prerequisites that are given below. 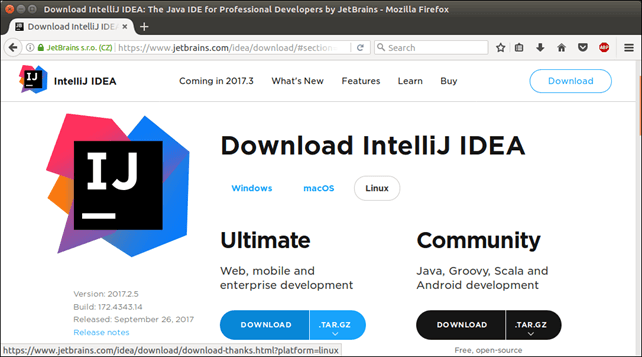 Visit the official site https://www.jetbrains.com/idea/download and download IDE as we did in below screen-shot. By default, archive is stored in Download directory. We use /opt/ directory to store application. This command extract and move IDE to the /opt/ directory. Change directory to the /opt/ and execute the following command. 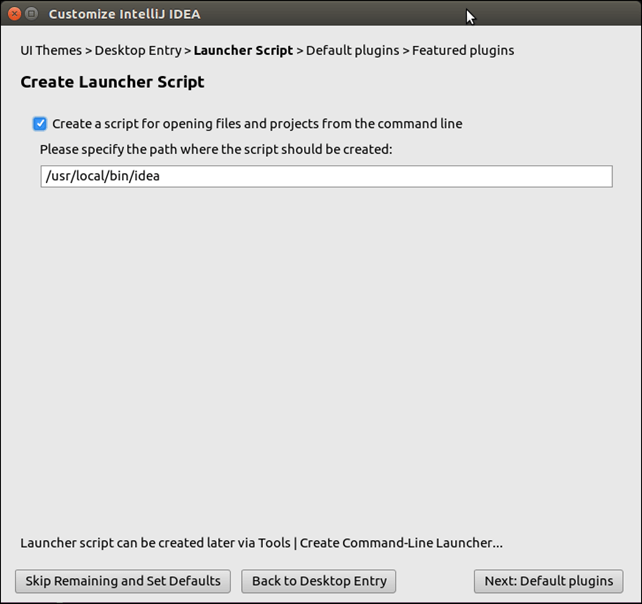 It will open a installer that helps to configure IDE. Follow these steps. Select trial version, if you don't have activation keys. Specify Path for the Script. 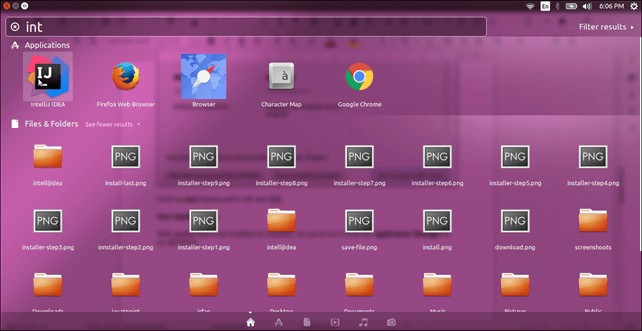 We can also download required plug-ins at the time of installation. Click on start button and it will start IDE. 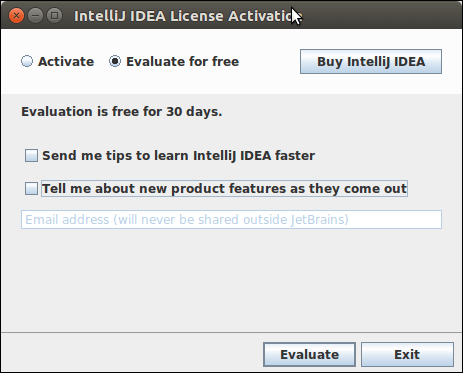 Well, IntelliJ IDEA has installed successfully, we can access it from the Application Manager as we did below.